India's economic growth would accelerate to 7 to 7.5 per cent in the 2018-19 financial year, enabling the country to bounce back as the world's fastest growing major economy, according to the economic survey tabled in Parliament on Monday. India's economic growth would accelerate to 7 to 7.5 per cent in the 2018-19 financial year, enabling the country to bounce back as the world's fastest growing major economy, according to the economic survey tabled in Parliament on Monday. The survey also states that although the finance ministry's had planned to reduce the fiscal deficit from an estimated 3.2 per cent of GDP this year to 3.0 per cent in 2018-19, a pause in the move toward a lower deficit could be merited in order to give the economy momentum. 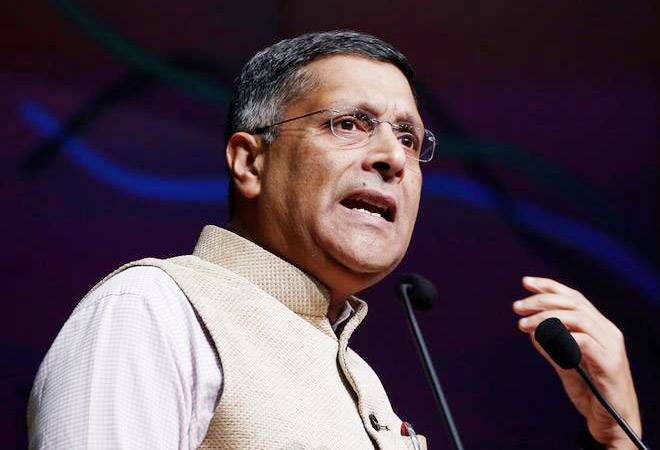 Finance ministry's chief economic adviser Arvind Subramanian hinted at political considerations for possibly easing the deficit target as the government heads for the Lok Sabha elections in 2019. "The cycle calls for ambitious consolidation but the political cycle calls for maybe a more modest consolidation so it has to be a balance between the two," Subramanian told journalists after the survey was released. The survey, an annual report card on the health of the economy, was released ahead of the government's budget statement which will be presented by Finance Minister Arun Jaitley on Thursday. "A series of major reforms undertaken over the past year will allow real GDP growth to reach 6.75 per cent during this fiscal year (2017-18) and will rise to 7.0 to 7.5 percent in 2018/19, thereby reinstating India as the world's fastest growing major economy," the survey said. China expects its economy to slow to a 6.5-6.8 per cent growth rate this year which would cede the top slot to India. Fuelled by stronger private investment and exports, the recovery forecast for India's growth rate comes after the country posted its slowest growth in three years in 2017-18. "The economy seems to be picking up quite nicely and robustly as the temporary impact of demonetisation and GST has been decimated," Subramanian remarked. However, the survey cautioned that persistently high oil prices remained a key risk for a country that relies on imports for close tom 80 per cent of its fuel needs. The slowdown was partly a consequence of the chaotic rollout of a nationwide goods and service tax (GST) last year and a shock move to ban high value currency notes in November 2016. The budget is expected to step up funding of rural development programmes and help small businesses in the run up to the general election. The survey is in tune with the International Monetary Fund's view that India will regain the title of being the world's fastest growing major economy in the coming fiscal year. The IMF last week predicted India would grow 7.4 per cent in 2018-2019. The government also warned that climate change could pare back annual agricultural incomes in India by 15 per cent to 25 per cent with unirrigated lands being harder hit by rising temperatures and declines in rainfall. Already farm incomes have fallen because of the rising cost of production while crop prices have not risen, presenting a potential risk to BJP-led government in the upcoming election after being made to fight hard for its victory in the Gujarat polls last month.